SMC is offering LARC services through a network of private graduate doctors. The LARC program had started with USAID support in 2013 and is continuing its operation under the current USAID Marketing Innovations for Sustainable Health Development (MISHD) program. This program has been initiated to increase accessibility, availability and utilization of IUD, Implant and Injectable services through private medical practitioners at individual chamber and private facilities. 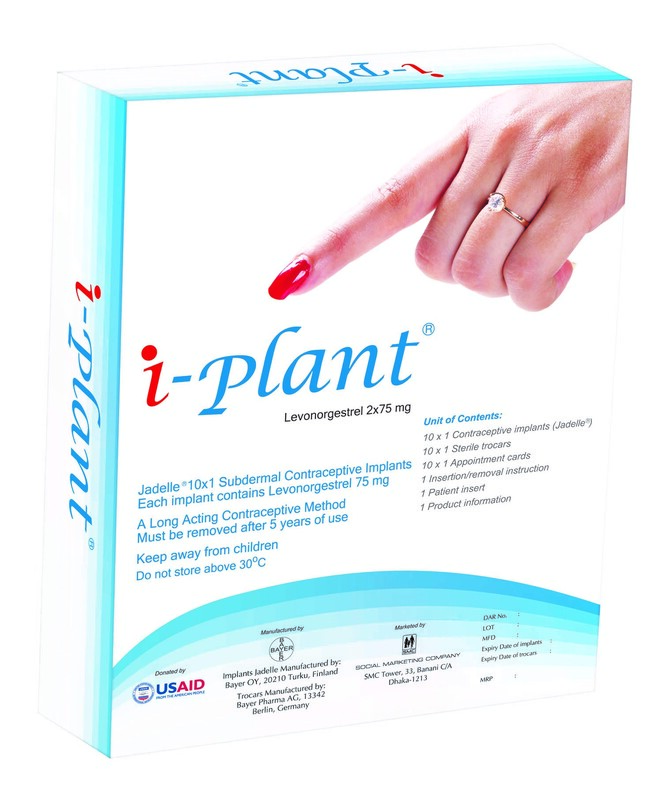 USAID has donated IUD and Implant contraceptives to support the initiative. SMC is devoloping capacity of doctors and ensuring quality assurance. It also ensures supply of IUD and Implant contraceptives to the doctor’s chamber and facility at subsidized rate. SMC implements this program in close collaboration with the Directorate General of Family Planning (DGFP) and the Obstetrical and Gynecological Society of Bangladesh (OGSB). Doctors who have adequate female clients, separate space for counseling and provision of privacy are eligible to participate in the program. The utilization of LARC methods is decreasing particularly IUD due to negative image emerged from side-effects and complications mostly due to lack of proper screening. Along with side-effects and complications, myths and misconceptions also contributed for low acceptance IUD. SMC repositioned IUD and Implant through over-branding of IUD as Relax and Implant as i-plant to overcome current perceptions of clients on LARC to accept it from the private sector providers. SMC adopted a new initiative to brand its LARC program as Pink Star network. The program will promote Pink Star outlets as an individual identity as a source of LARC services in the private sector. An extensive communications campaign is being implemented to create awareness of Relax and i-plant. These include distribution of brochures and leaflets to potential clients and placing signboards, billboards, banners and posters around the catchment area of service providers to promote the products. SMC also publishes advertisements in national and regional dailies to promote details of providers in different districts separately. SMC is also generating demands through TV commercials and health talk shows. Websites have been developed for digital marketing on Relax and i-plant. Potential clients can get updated information about providers and adjacent service delivery outlets while visiting websites www.relax-iplant.com and www.healthtalkbd.org. The response of the program is encouraging. The graduate doctors, in many cases, are proactively discussing with their clients on various family planning methods and informing about the availability of LARC and Injectable services. It is observed that the use of Relax, i-plant and injectables (Sayana PRESS/SOMA-JECT) administration is gradually increasing through this network. However, demand creation of LARC services available at private sector has been a challenge. SMC recruited community level counselors for creating demand and strengthening the engagement of providers for LARC services. This activity has been initiated as a pilot program with a view to create demand among potential LARC clients through direct Inter-Personal Communication (IPC) at household level in 17 districts. The intention of this program is to create satisfied LARC users who will further motivate clients at her vicinity through word of mouth.